Isn’t nature wonderful? Her never-ending story takes you along journeys of mystery, suspense and intrigue. And every step here at Barefoot Lakes brings you closer to the realization that there is always more to discover. 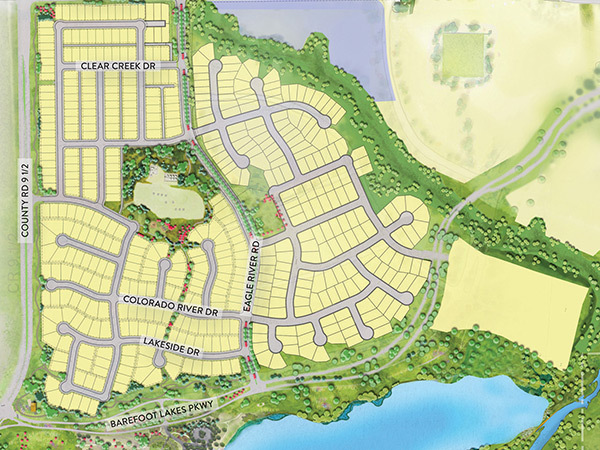 Extensive community trails looping around 100 acres of lakes, unique park settings, and wide open spaces to take a breath and take it all in. Your journey to a new home begins and ends here. Discover WaterSide neighborhood – the first of three neighborhoods coming to Barefoot Lakes, and the first to offer incredible new homes. 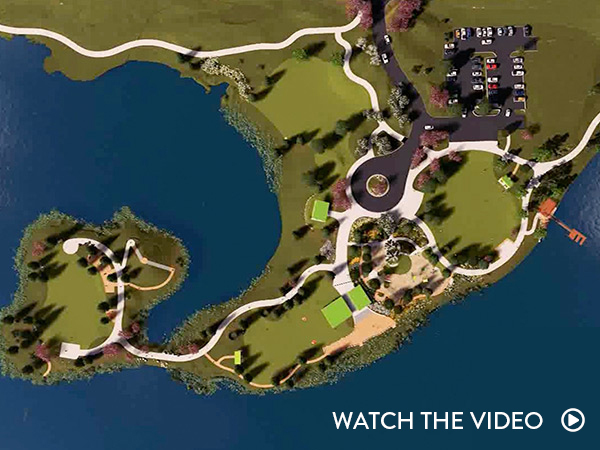 Run, walk or stroll the neighborhood trails meandering through WaterSide Park and down to the nearly 3 miles of lakeside trails surrounding the community’s twin sapphire lakes. Find your respite in the natural setting of Barefoot Lakes and live in the haven that nature calls home by owning your piece of WaterSide. Exploration is a privilege. 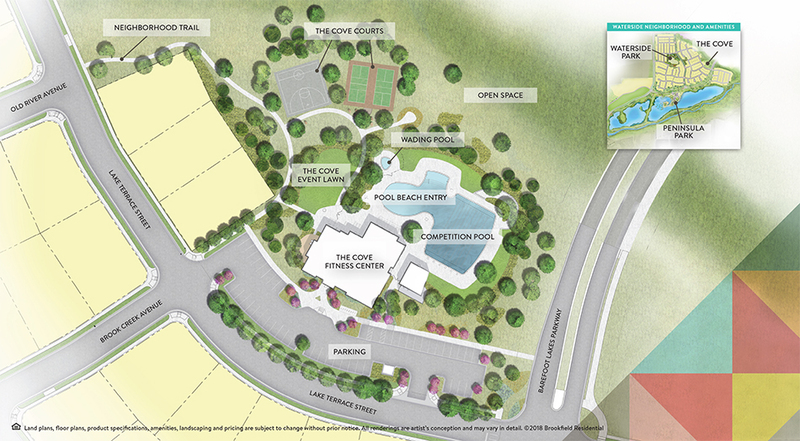 That privilege is granted with full access in the brand-new 12-acre Peninsula Park. Emerging from the community’s two lakes, this regional park is filled with activities for all ages, abilities and adventures. 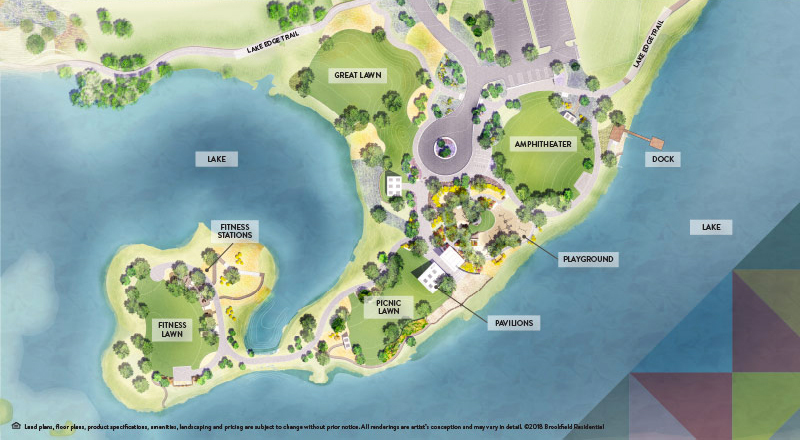 Stay up-to-date on happenings and events at Peninsula Park, and news about the other amenities coming to Barefoot Lakes by signing up to Stay Informed. Remember the thrill of “recess time”? You will again at The Cove. Whatever your idea of a good time is… it’s play time. Anticipated to open in fall 2019, The Cove offers residents 7,000 square feet for hanging out, working out, and swimming it out. 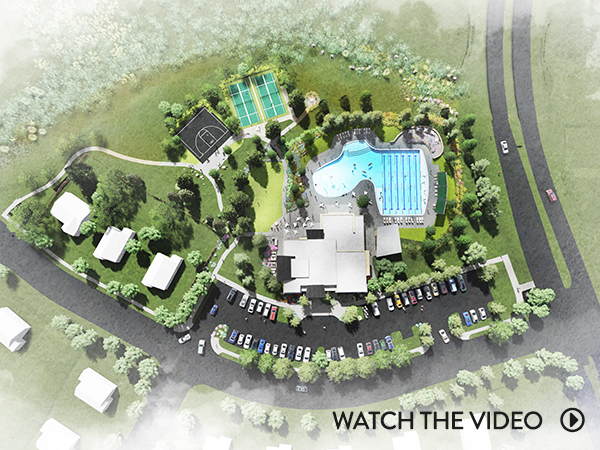 This means a 6-lane lap pool with adjoining kids splash pool, outdoor grill and fire pits, and more. Only for Barefoot Lakes residents, The Cove is a recessed haven that is walkable and chock-full of ways to relax or stay active amidst our natural setting. 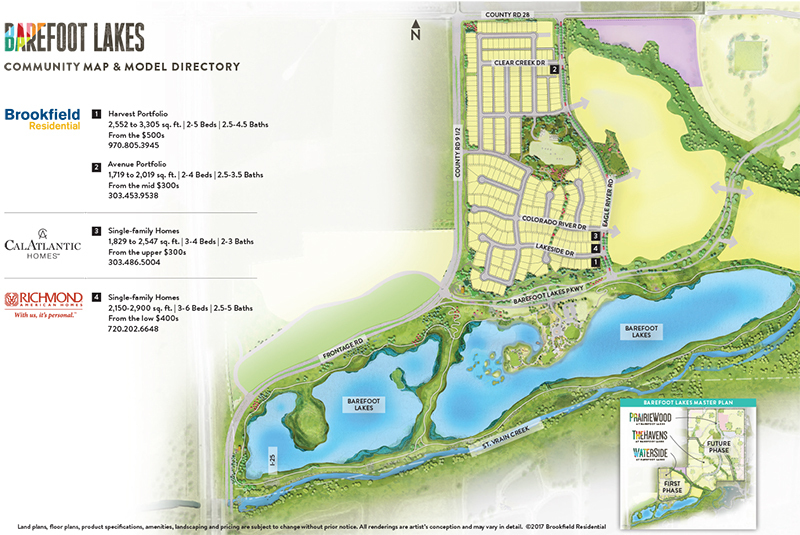 Barefoot Lakes is a new home community unlike any other. 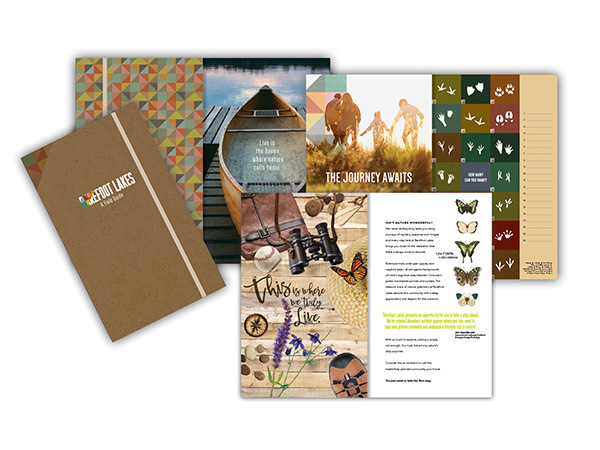 Instead of a “community brochure”, we’ve created a community field guide. Learn about the history of our surrounding area, your furry and flying new neighbors, and more.